TinyCat turns 3 years old this month! We’re proud to serve over 1,000 small libraries with an affordable, sophisticated online catalog and we look forward to welcoming more libraries this year. We're celebrating our birthday now through the end of May with a little something for everyone (including a Store sale), so be sure to check out the full details on the blog. 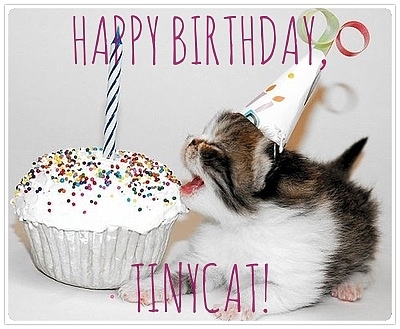 Please share your TinyCat birthday love with us here—adorable cat photos encouraged! Happy Birthday TinyCat! I hope there's tuna in that cupcake!